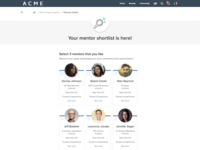 Enterprise and high-growth companies across industries like software, biotech, financial services, and IT, all looking to deliver impactful and scalable mentoring and leadership development programs. Cons: Nothing at this time. Improvements are coming all the time. Overall: Beyond my expectations. My needs are anticipated and often filled before I ask! 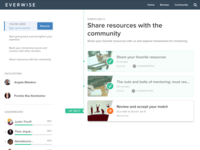 The Everwise experience made a better leader and provided insights to scale up my business. 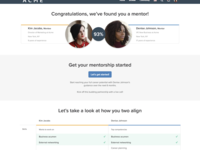 Pros: The software provides a way to keep the mentor/mentee commitments on track. 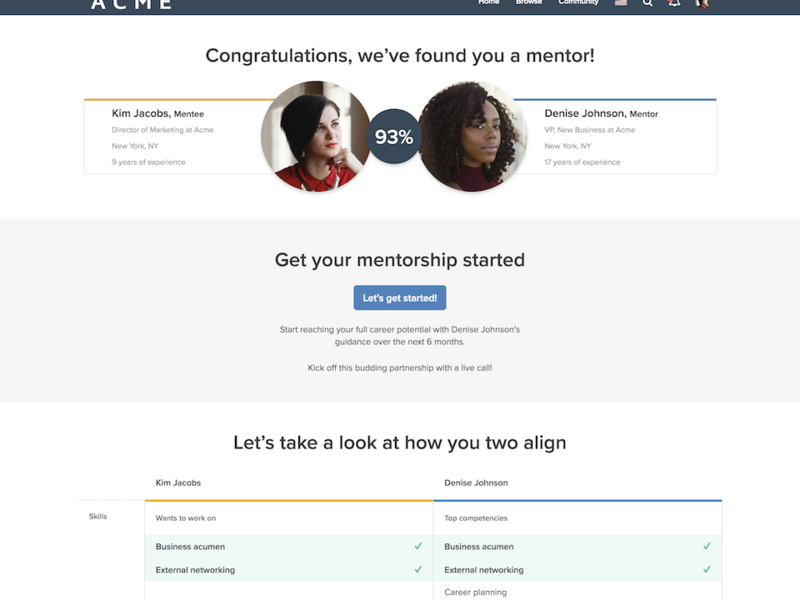 It also has several resources around educating both mentor and mentee's so their partnership can be successful. Cons: There is always room for improvement, they have already stared working on lots of push notifications which helps rather than having to login each time. In the future an app would be great addition. 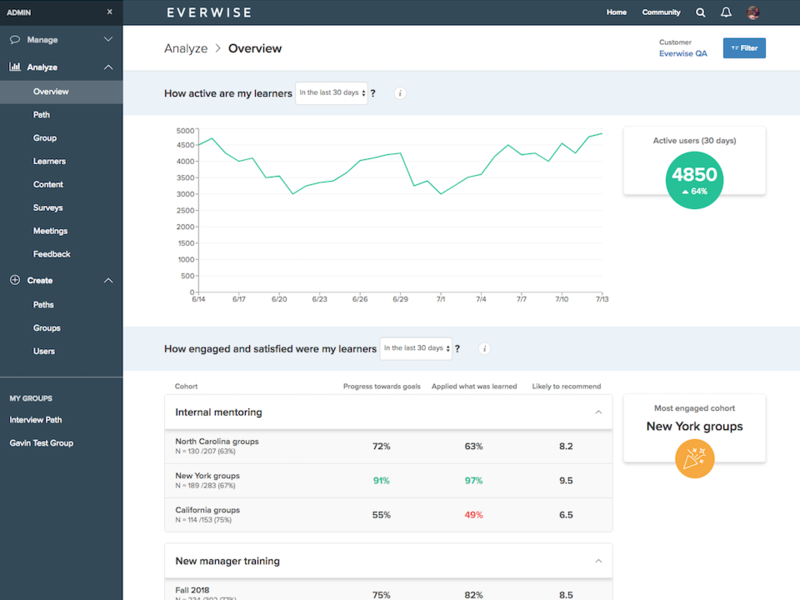 Overall: The time Everwise spends matching with the right mentor/mentee helps stay engaged and provides great foundation for the entire process. The follow up helps create accountability and provides structure which guarantee's a rewarding experience for all participants. 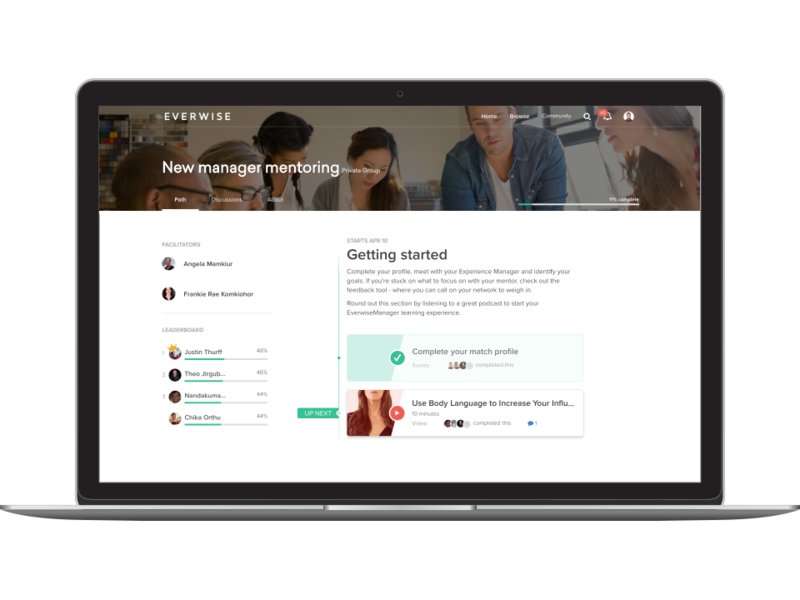 Pros: The partnership with the Everwise team. Each member of their team felt like a true partner, and worked hard to find the best solution to meet our peoples needs. Cons: No concerns with the software of the solution. 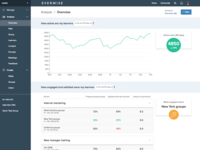 Overall: Our companies experience with Everwise was incredibly positive. They took the time to understand our business, and provide the best solutions to meet our needs. 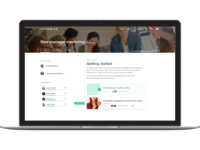 The software is curated and condensed in an intuitive way, and they really make your life easier. Pros: Quick-burst content is well organized into missions, collections, etc. The active, online community allows for meaningful feedback and discussions. 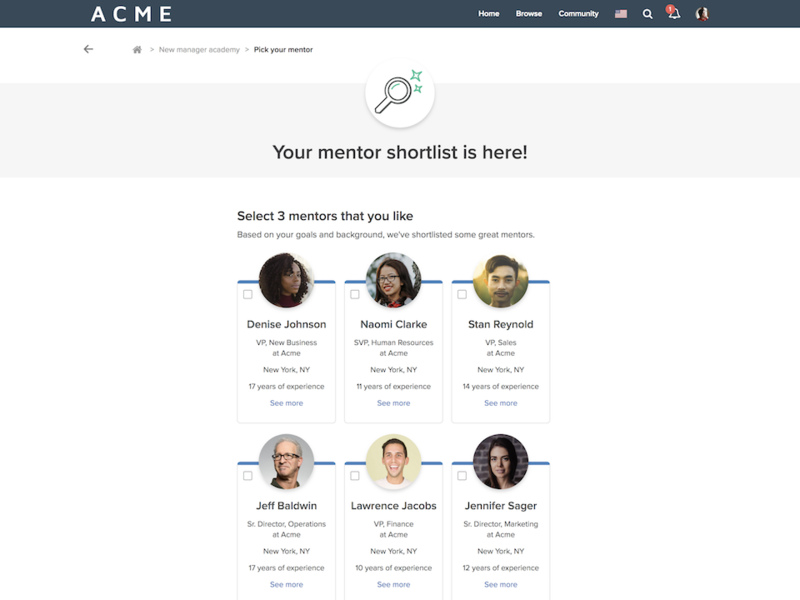 Cons: Would love to see more content around how to be an effective mentor, as our organization leveraged the software in an internal mentoring program. 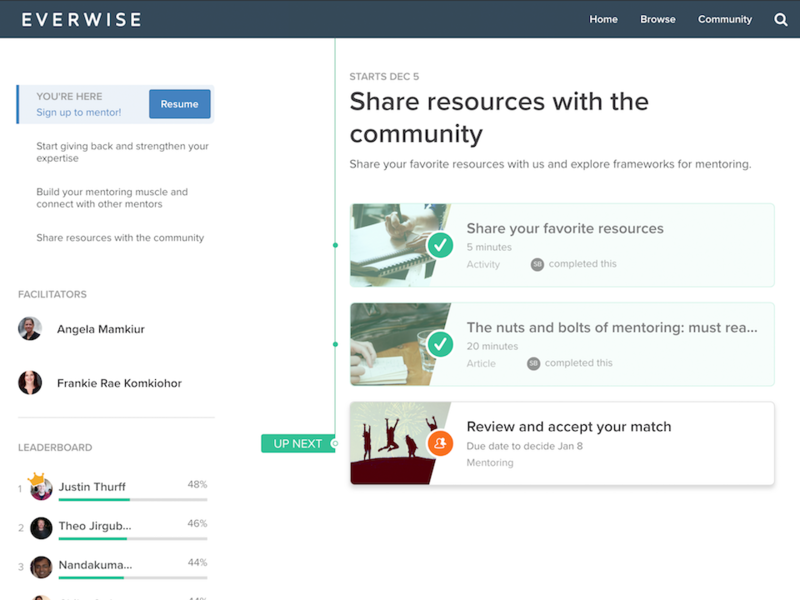 Overall: Our organization leveraged the mentor matching component of the Everwise platform in a pilot mentoring program for our Employee Resource Groups (ERGs). This provided our diverse workforce with exposure to and partnership with our executive leadership team, which was well received by ERG members and executive leadership alike. Cons: does not have expansive content on skills like IT, etc.